Shark Floating Thermometer Just $9.66! Down From $25! You are here: Home / Great Deals / Shark Floating Thermometer Just $9.66! Down From $25! Sears has this Shark Floating Thermometer on sale for $9.66 (Reg. $25)! Plus you may be be able to get FREE in-store pickup! You’ll be makin’ waves with the Surfin’ Shark Spa & Pool Thermometer. Highly accurate, this great floating thermometer provides clear, concise and precise water temperature readings. 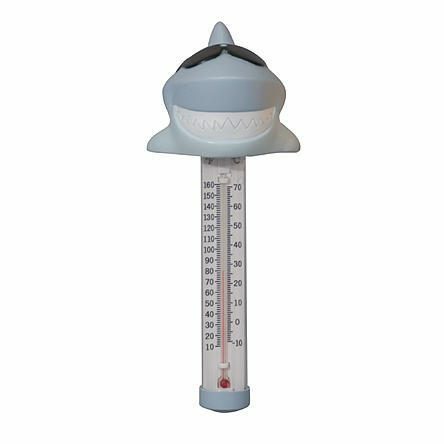 This cute shark thermometer is easy to spot floating in your pool.